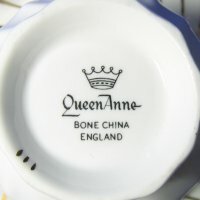 Vintage Queen Anne Bone China Tea Cup - 50th Anniversary! 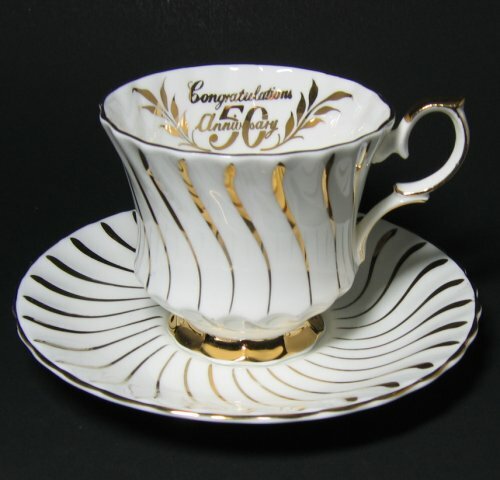 CONGRATULATIONS 50 Anniversary Queen Anne bone china England tea cup. 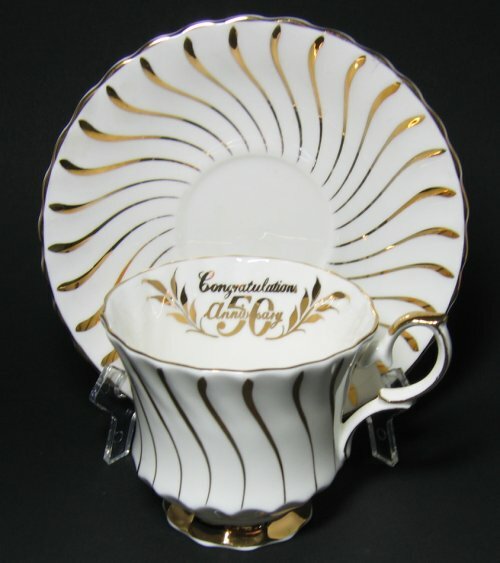 Swirl pattern cup trimmed in gilt, teacup foot gilt, thumb rest gilt. The gilt spirals near the center of the tea cup show light brush wear. The cup measures 3" high and 3 1/4" wide. The saucer measures 5 1/2" wide with a slightly scalloped edge. WONDERFUL anniversary gift set!